Thinking about buying your first house in the next year? You must read this! Buying a house gives you ownership, pride, and status. It is also a long term investment that can give you great returns. In accounting terms, the owned property is considered an equity that has tangible value. It increases your net worth. Rent is an expense. It simply transfers your wealth to others. If you are convinced that buying is the way to go, then you should keep reading. Check below to see what you likely be able to afford based on the rent amount. *The information presented above is for illustration only. Rent and Home prices are based on the Survey of Canadian Prices (Royal LePage, Second Quarter 2005, Issue No.32). Monthly mortgage payment is based on a $150,000-$250,000 mortgage, with 5% down payment at an interest rate of 5.90% per year (rate as of October 5, 2005), on a 5-year closed term and a 25-year amortization. Mortgage payment amount does not include property taxes, insurance premiums, utilities and common expenses. A credit rating is really just a measure of how dependable you are when it comes to repaying your debts. Credit bureaus create detailed reports containing information about your payment history (and a bunch of personal information that they really should not have). It gives them knowledge of your credit worthiness when you need another loan. How do you get your credit rating? When you get your report, check your report carefully - if there are errors in the payment information on your credit report, you should send a letter to the credit-reporting agency requesting rectification of your records. ALWAYS pay your bills on time. Credit card, loans, or a line of credit are the main channels to build your credit with the bureaus. If you use your credit cards, at least make your minimum payments, you can develop a history of good credit. How long does it take to build a mortgage worthy credit rating? It really varies. It can take many years. (So you better get on it. But don't worry, if your credit is average, you can usually get approved by having a larger down payment or a credit worthy co-signer.) To learn more about how this works, you can contact us. The information is for general use only; it is not intended for investment, financial, accounting, legal or tax advice. Start saving for down payment. Invest your mortgage fund only in a cash investment, such as a GIC that guarantees you a small interest. (So your principle is safe and pretty much no risk at all.) Right now the interest rate is great. 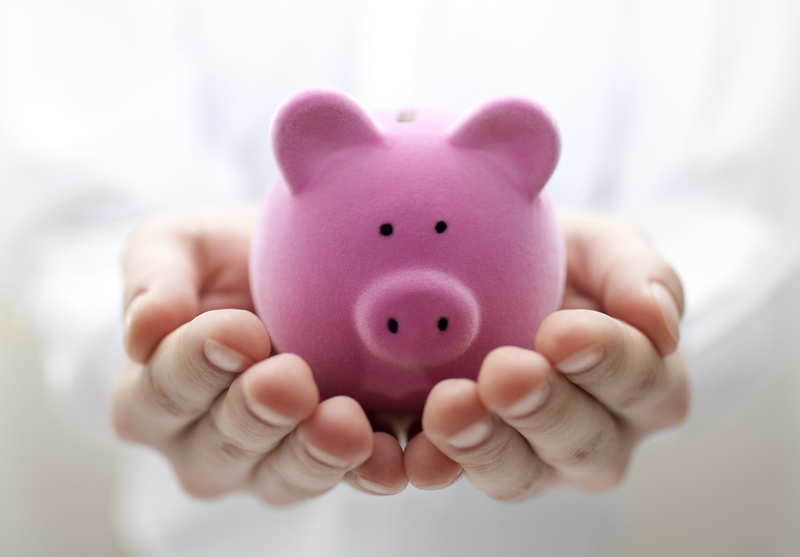 You can get 1.75-2% sometimes on a savings account! I know a few institutions that offers that. If you would like to find out more, contact us here. Contribute to an Registered Retirement Savings Plan (RRSP) account. It's tax deferred. It allows you to get a lump sum tax return back each year and you can put that into your downpayment fund mentioned above. If you have a Employee Stock Purchase Plan, contribute to it! It usually guarantees a 25-50% return! When it matures, take it out and but it into your mortgage fund mentioned above.. There's no income tax on the funds, if you repay the total amount to your RRSP within 15 years. The repayment period starts the second year following the year you made your withdrawals. If the full $25,000 is withdrawn, the minimum annual repayment would be $1,666. This can be paid as a lump sum as well using your tax refund generated from your RRSP contribution each year. For more information on the Home Buyers' Plan, please visit the Canada Revenue Agency website. Two options for down payment relative to property value. Can be added to the principal balance and paid off as part of your mortgage, or paid off in a lump sum at the time of purchase. It may be subject to provincial sales tax which cannot be added to mortgage amount. The information is for general use only; it is not intended for investment, financial, accounting, legal or tax advice..
What's your annual household income? This is one factor financial institution will use to evaluate how much mortgage they can lend you. How much down payment are you prepared to pay? The less downpayment, the more negative cash flow. How much negative cash flow are you able to afford to stay liquid in case there's an interruption in your income stream? If you don't know the answer, you'd better talk to us. Know your closing costs. There are many closing costs. It can add up to 1-5% of the total mortgage. You need to have it in consideration. Property taxes, home insurance, title insurance, condo fee, utilities, gas, etc.. These expenses can be significant. Financial institutions usually don't factor these expenses into their calculations, so they may over qualify you for what you can actually afford to pay comfortably each month. To speak to an mortgage advisor, please contact us. For more useful and entertaining articles like this, please follow us by visiting the below. For more information on how to buy or sell a house, please visit us at www.kevinsha.ca.